At SIUE, we are committed to forming a rich student body which allows for positive, multicultural interactions. SIUE received the Higher Education Excellence in Diversity (HEED) award for five consecutive years. The award is given by INSIGHT Into Diversity magazine, the oldest and largest diversity-focused publication in higher education. SIUE is ranked 11th in the country among the Safest College Campuses according to the National Council for Home Safety and Security. We invest in technology such as the Rave Guardian app and our e-Lert text messaging service to keep all students safe and informed. 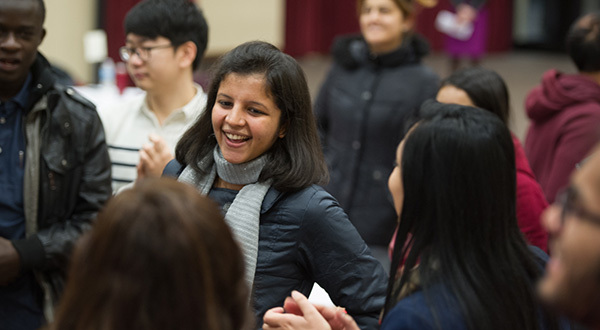 SIUE is home to nearly 400 international students from 61 nations. With nearly 30 percent of the student body reporting a diverse cultural background, the SIUE community allows a unique opportunity for diverse relationships and global awareness. Start your application today, and become part of a diverse community at SIUE.